"...look with wide open eyes and without support into the sky straight before you, since the eyes are the gates for the manifestation of wisdom. As for the key point of speech, let your breathing flow naturally, not through your nose but very gently through your mouth. There is a reason for each of these points, so do not disregard them or think them unimportant." Note to moderators: I would have posted this in the meditation section but seemed more appropriate here given that the insight is based on what is correct in the context of dzogchen specifically. the reason for breathing with the mouth slightly opened is that the movement of the winds in the chanells will be restricted and they will not move in the normal way. When they move in their normal way(by closing the mouth and breathing through the nose)their movement will give rise to discursive thought and therefore the practitioner very easily falls into duality. By restricting their movement you create a condition for the discursive thought to be stoped. It depends on what practice you are implementing. Unfortunate that Crystal Cave been put on the net. But I guess it been out of print for a to long time. I would really like to inspire you and others to get the transmission and instructions on that text as well as "Advice of old Vijaya" by Sechen Gyaltsab, root Guru of Dilgo Khyentse Rinpoche. They are very special indeed. Oh, in Dzogchen you always breath trough the mouth. Thanks for your response / explanation, much appreciated! Funny, even though I feel like I should know better, I failed to see the connection that breathing through the nose would indeed be stimulating energetic movement and therefore stimulating thought... even though I suppose the habitual reification of the stillness/movement dichotomy ultimately serves as a block, surely in the beginning the less potentiality there is for distraction the easier it is to rest in uncontrived naturalness, glad you pointed that out! Nangwa wrote: It depends on what practice you are implementing. So the difference would be practices which are based on energetic stimulation of winds (which implement breathing through the nose).... as opposed to practices where the winds are being suspended to aid in pacifying discursive thought (which implement breathing through the mouth)? heart wrote: Unfortunate that Crystal Cave been put on the net. But I guess it been out of print for a to long time. Understandable, I'm also glad it's available for those interested in reading it, it's listed online for $220! heart wrote: I would really like to inspire you and others to get the transmission and instructions on that text as well as "Advice of old Vijaya" by Sechen Gyaltsab, root Guru of Dilgo Khyentse Rinpoche. They are very special indeed. I'd love that, how would one go about receiving the proper transmissions? heart wrote: Oh, in Dzogchen you always breath trough the mouth. Indeed good to know... thanks for your insight, much appreciated! And I'm quite sure that I've read about practices where we are to have the tongue resting not on the bottom nor the top of the pallet, and we breathe through both the nose and mouth simultaneously. Anyone recall anything about this? There are plenty of Dzogchen practices that are applied with breathing through the nostrils. Certain practices call for breathing through the mouth but it is certainly not the case that all Dzogchen practice calls for this. 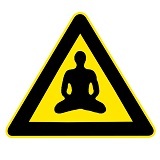 Lhug-Pa wrote: And I'm quite sure that I've read about practices where we are to have the tongue resting not on the bottom nor the top of the pallet, and we breathe through both the nose and mouth simultaneously. In Bon in certain practices that's how is done.The tongue rests in the middle in its natural position and breathing is done through the nose and mouth simultaneously.But this is what happens anyway if the mouth is slightly opened. You find a master that have the transmission and you make an offering and request the "lung" and "tri". Even if you only managed to get the "lung" it would be well worth your effort. Here I could indicate my own masters but I think any Lama close to Dilgo Khyentse Rinpoche might have it. Like for example? I have never seen any Dzogchen text that say anything else than to breath through the mouth. "When we learn the first group of movements we apply one type of breathing in a very precise way. There are five of these groups, each with a different type of breathing or prana practice related to characteristic methods that are believed to have different effects. Some are more related to coordinating energy, some are related to developing the kumbhaka holding. The purpose of these practices is mainly for coordinating our breathing in daily life. In general, everyone knows how to inhale and exhale, but we usually do this in an incorrect way because our breathing is linked to our mind, which is often disordered and confused." Though Crystal Cave has been out of print, several of the texts have been republished and are included in books like Quintessential Dzogchen (Rangjung Yeshe Publications), those that haven't been included elsewhere are included, together with other unpublished translations, in the upcoming collection Perfect Clarity which i believe will be published later this year. So Yantra Yoga is Dzogchen? no ... Nyida Khajor is a tantra by Vairochana, one of the great translators of Dzogchen Text in Tibet, he received it from Guru Rinpoché that received it himself from Humkara. But as every other practices than Guru Yoga are secondary practices, we may not speak of breathing "at all", wether by the nostrils or the mouth. 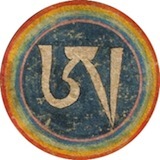 Sönam wrote: no ... Nyida Khajor is a tantra by Vairochana, one of the great translators of Dzogchen Text in Tibet, he received it from Guru Rinpoché that received it himself from Humkara. So in what Dzogchen practice don't you breath through the mouth? Numerous exercises in Longde are applied through the nose. Especially those that are used to balance the elements etc. Where do you get the idea that breathing in Dzogchen is always through the mouth is a better question actually? There are of course practices where mouth-breathing is prescribed but I don't see where you could get the idea that one always breathes through the mouth when applying any and all Dzogchen methods. I am not familiar with Longde. That you always breath from the mouth is something that got from the various Dzogchen manuals I got instructions on through the years, among them the text by Shechen Gyltsab mentioned by the OP. No difference between Trechö and Tögal in that sense. Hi Magnus, mouth only, or nose and mouth? Kelwin wrote: Hi Magnus, mouth only, or nose and mouth? Mainly the mouth but a little breath will go through the nose as well. That's what I thought, just clarifying, thanks!